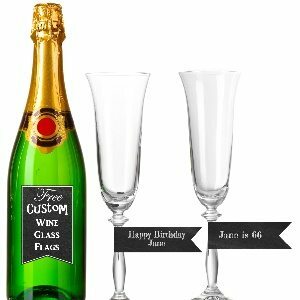 These custom labels are so easy to make and once complete, you can use them to create various items such as straw flags, cupcake toppers, food labels, cake toppers, etc. There are 18 flags per sheet and many designs available. 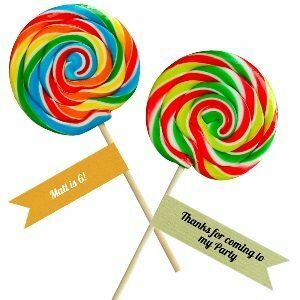 You can customize each flag with your own text. Either write the same message on each of the 18 flags or use a different message for each. You’ll find step by step instructions below. 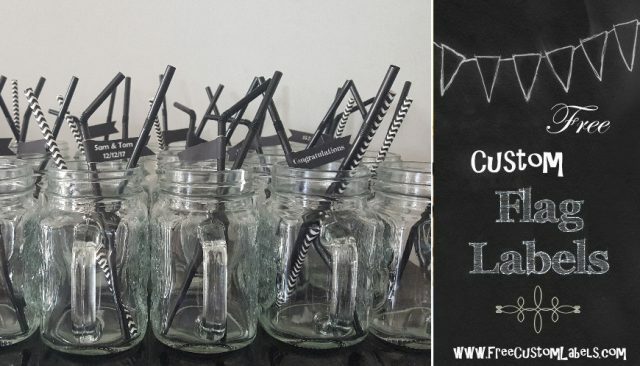 These straw tags add a flair to your party. They can be customized with any text. You can print the labels in each of the above colors and textures. All of these labels can be printed on white paper or cardstock (smooth or textured). If you prefer to print on colored paper then you can use the straw flag template which is blank with text only. Only the text and flag outline will print. This will enable you to choose your paper and save on ink! 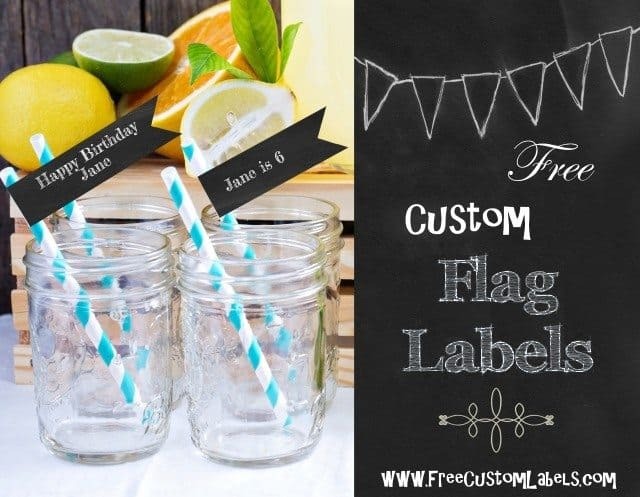 These flag labels can also be embellished to add an extra flair. For example, you can use a punch to cut out a shape or design, you can add washi tape, you can paste a bead or plastic “precious stone”, the possibilities are endless! White printer paper or cardstock paper. Don’t use a thick heavy brand of paper. It is better to use regular computer paper or slightly heavier card-stock. If you are making the flags for a festive occasion or a formal wedding you can use textured paper to create a more elegant look. Many of the label templates have a textured background anyway so they will appear textured even on regular paper. Choose the design that you want to use (see color choices above). Click on the color you want to use to open the label maker. Type the text that you would like to appear on your printable flag labels. Download as an image or a PDF. Print (you can print directly without downloading if you don’t need to keep a copy on your PC). Cut out the strips of paper (i.e. the lines above and below the flags). You can use either an X-Acto blade and ruler or paper cutter if you have one available. If not, just use scissors. Using scissors cut out the little triangles on the end of each flag (if applicable – some versions have straight edges). Place glue on the back side of the flag. Make sure that the glue covers the ends else they tend to open. Wrap the flag around the straw or stick but don’t stick it yet. Line up the ends and only then press the flag together to attach it to the straw or stick. If you used double sided tape until the end of the flag then cut out the triangle of exposed double-sided tape. 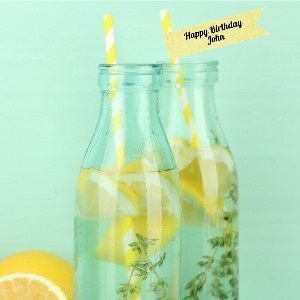 Either use different colored straws with colored straw flags or have all straws in the same color. 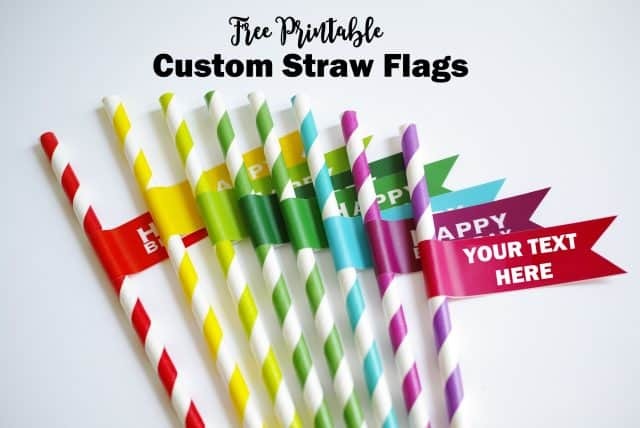 You can also have all straws in one color with different colored straw flags. 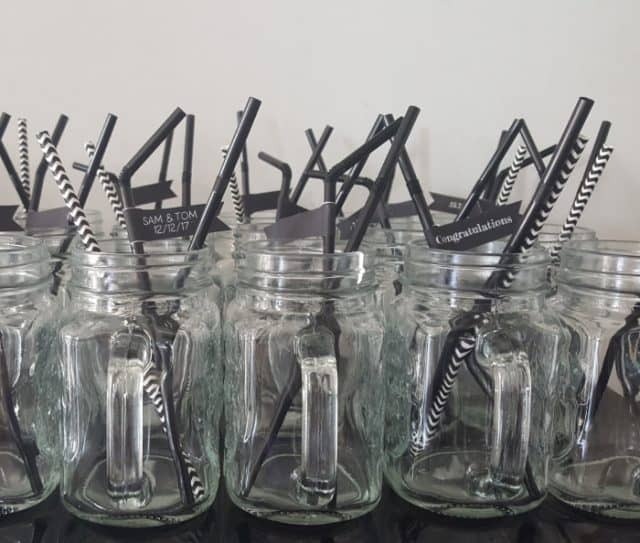 There are so many options available to enable you to match the straws to your color scheme.